It’s perhaps fitting that one of the homes of the video slot (or 'pokie') – Australia – is churning out some of the most exciting slot games, and Australian slot game manufacturer Aristocrat has been busy coming out with some top-notch slots of late, thanks in part to its partnership with GameAccount Network. 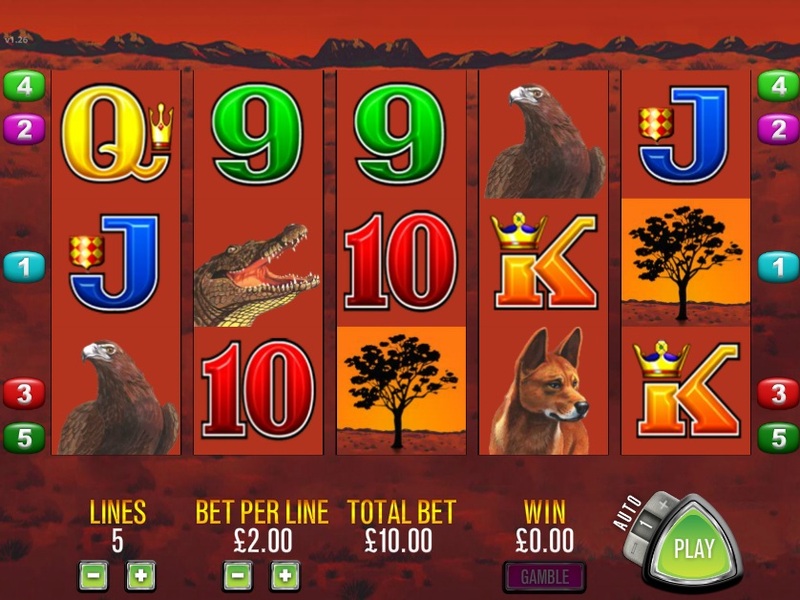 A 5 reel slot with minimal 5 paylines, Big Red has an appropriate Outback theme, but the game's ambition is as big as the vast Australian landscape. Big Red has been popular Down Under as a land-based ‘pokie’ for years in bars and casinos up and down the country, and the main character on the reels is the titular Big Red - a kangaroo. Coins range from just $0.01 to $0.10, but you can whack this up to 100 coins per line, making the maximum bet of $500 per spins pretty tasty. The kangaroo forms the centrepiece in this game, with the kanga ably supported by crocs, a dingo, an eagle, a boar and some familiar Aristocrat 9-to-Ace icons. Any time our Big Red Wild substitutes a regular symbol to complete a winning combination, 5 free games are awarded for each lit payline you hit to trigger the bonus feature. If a Scattered tree appears during the free games it will generate the same amount of winnings as the line that originally triggered the feature. This is where the repeat wins feature really comes into play - you can re-trigger five additional spins if you can entice those friendly marsupials to appear again during your spins. We talked about the ambitions being Big, right? Well, the wagers on Big Red are set at a minimum of $0.50. That may deter some gamers, but the potential for big pay-offs should ensure plenty of interest. Originally a video slot in Australia, the game’s longevity shows it still has legs in its online format and there's no doubt that Big Red is another great addition to the Aristocrat arsenal. The sound effects are pleasant, the game looks nice - with Aristocrat eschewing their usual cartoony graphics in favour of photos - and there are some nice touches overall like the music increasing in speed to stay in tune with the wins. 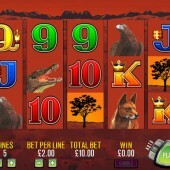 This is proper old-school slots action, so if that doesn't make you run for the hills, get stuck in. If you're looking for something similar to play then NextGen Gaming's Pandamania slot and Microgaming's wild animal-themed Mega Moolah slot are just two slots to consider.